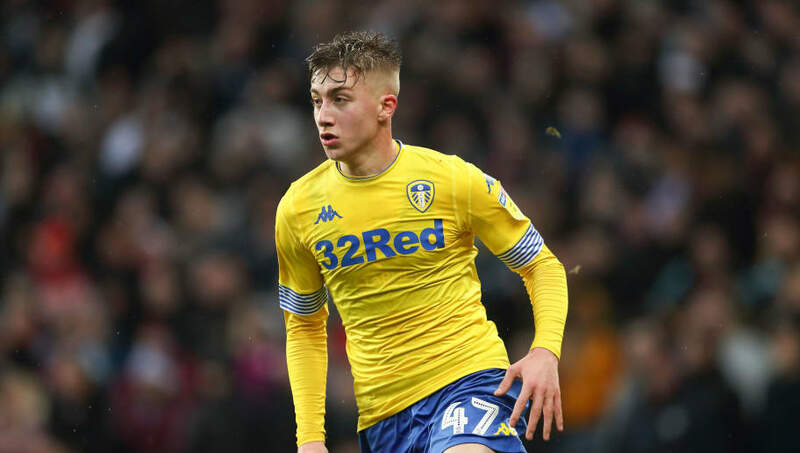 Leeds United are aiming to keep a hold of young starlet Jack Clarke despite growing interest from the Premier League. ​Clarke only made his first professional appearance back in October but has quickly gathered top-flight interest after impressing for the Championship leaders this season, making 12 league appearances so far and contributing two goals. ​Southampton join Premier League heavyweights ​Tottenham Hotspur and ​Manchester City as the teams rumoured to be monitoring the 18-year-old starlet's progress. However, The Mirror reports that despite the growing interest, Leeds are determined not to cash in on their latest home-grown talent. The ​Daily Mail meanwhile notes that Clarke's current deal still has two-and-a-half years left to run. However, the fact that talks regarding an extension yet to get underway, could potentially encourage the player's many admirers. Not the first Clarke to strut his stuff at Elland Road, but Jack Clarke looks a player. Another talented young English footballer born in 2000. Clarke made his first Championship league start on Friday night during a 2-0 win over Derby County, with the winger playing a part in both goals during his 79 minutes on the pitch, under the watchful eyes of England first team and Under-21 coaches Gareth Southgate and Aidy Boothroyd, who were in attendance. As Clarke continues to impress, more interest will no doubt come from the​ Premier League but Leeds want to continue the development of the 18-year-old. The Yorkshire side aim to return to in the Premier League for the first time since 2004 could be a factor in tempting the youngster to remain at Elland Road for the near future.